Another massive tree within the mountain ash plantings at Newstead. 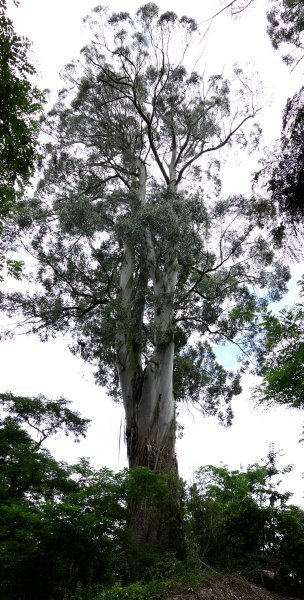 One of the first trees to be seen walking from the cemetery end of the track, it is of equal height to the largest tree (see WKR/0588), larger in spread, with a stout barrel trunk, dividing into 3 leaders at 9 m [Smillie 2015]. 25 Jan 2015 Smillie, M.J.
At the southern (cemetery ) end of the reserve, about 10 minutes walk from the SH26 entrance.